> WHAT ANGELS ARE AROUND YOU? > HAVE YOU EVER TRIED TO COMMUNICATE WITH THEM? Mary Jo McCallie, an Angel Therapy Practitioner® and Medium certified under Dr. Doreen Virtue PhD. *, communicates with your Angels to receive Divine Guidance for all areas of your life. She channels messages of love, wisdom, & healing from the Angelic Realms as well as from your deceased loved ones. A successful spiritual teacher & healer, Mary Jo believes that we all have the innate ability to communicate with the angels and she helps to open that door for others by assisting them to develop their own Divine Intuition and psychic ability. 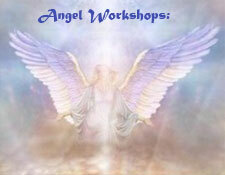 Teaching various workshops and classes is only the beginning of how Mary Jo shares the Angels’ energy. Mary Jo and Angels Talk have also been featured in multiple spiritually-minded radio programs and local news media. Mary Jo tends to shy away from the description as a “psychic” because of all of the dishonest charlatans she has met throughout her life. Everyone is psychic to some degree. Some are more gifted than others and some have simply practiced more. Although she has always received information from the other side, she now channels Divine Guidance & healing through the Angels. Although Mary Jo resides in the Tampa Bay area, her Readings, Healings and Private Spiritual Mentorship Sessions can be received anywhere worldwide (Remote OR In-Person Appointments). There are no time or distance obstacles when engaging the Angels’ advice. Angels Talk is family-friendly, open and welcoming to all seekers. Jamie Wareham offers Angelic services as well. After many years of working daily with the Angels and furthering her Spiritual Studies, she has developed a unique toolbelt of techniques with which to assist others. She works with individuals to IDENTIFY, BREAKTHROUGH energetic barriers and HEAL areas that are holding them back from the very best version of themselves. By working together through energetically tailored Mentorship Coaching Programs and Angelic Reiki + Sound Healings Sessions, we reawaken your co-creating power! Jamie is a Shamanic Reiki Master and Traditional Usui Reiki Master (Lineage 7th Removed From Master Usui), Certified Angel Intuitive Practitioner (C.A.I.P.) and has studied with many Internationally known Spiritual Teachers such as Doreen Virtue, Deborah King and Sandra Ingerman. Jamie is also an active member of the International Association Of Reiki Practitioners (IARP), Sound & Healing Drum Practitioner, Ordained Minister and Spiritual Development Coach. 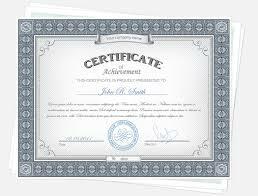 For Reiki Level Certification Courses, click here. WANT TO STREAMLINE YOUR LEARNING CURVE WITH THE ANGELS?